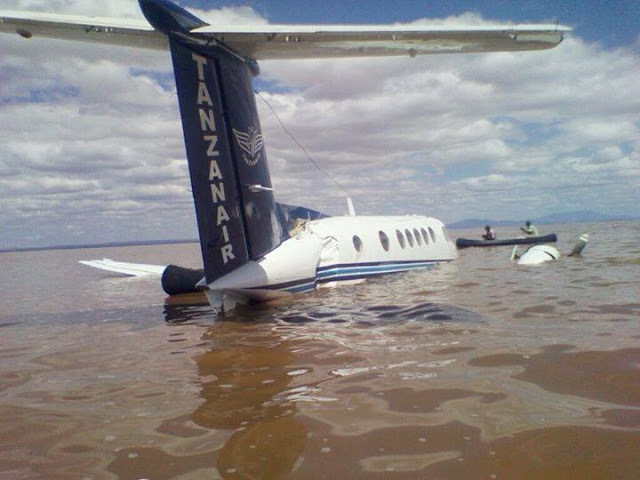 Six (6) passengers and one pilot escaped death on thursday after a Tanzanair plane,Beechacraft B200C (twin engines), ditched on lake Manyara due to engine failure during flight. 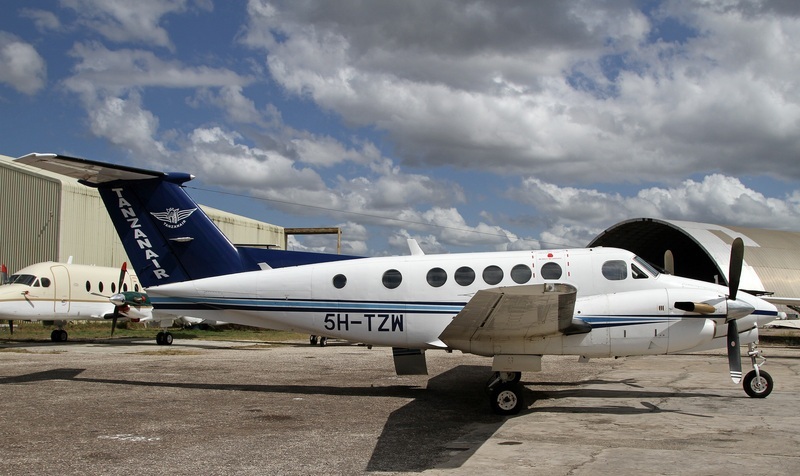 The plane was on its journey to Dar es salaam from Bukoba, northwest region of Tanzania. There were 6 pax and a captain aboard the plane and all of them were rescued and rushed to Selian Hospital in Arusha for treatment. The Arusha Regional police commissioner, Liberatus Sabas, said the accident happened between 8am and 9am. Both engines went off during flight. According to the witnesses the first engine went off when the plane was at 21000FT above sea level, the pilot then started to descend to Arusha airport and at 14000FT the second engine went off, thus they had lost both engines. 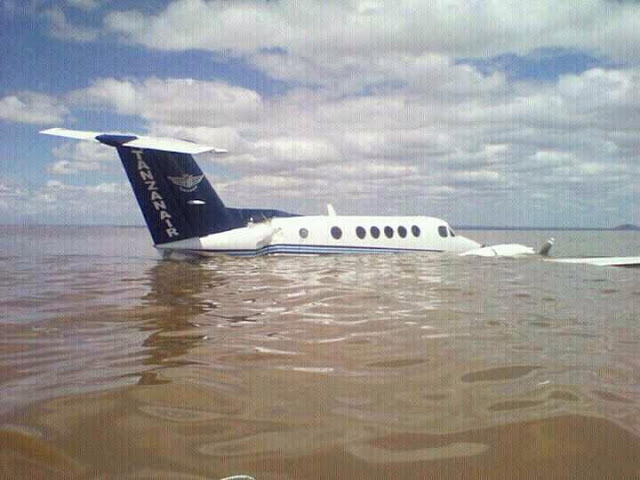 The captain thus opted to glide and land at manyara airport but he couldn't even make it thus he ditched onto the lake and passengers evacuated. The passengers were then rescued from the lake through the help of fishermen using their boats (mitumbwi) and they were rushed to the hospital using a chartered helicopter.